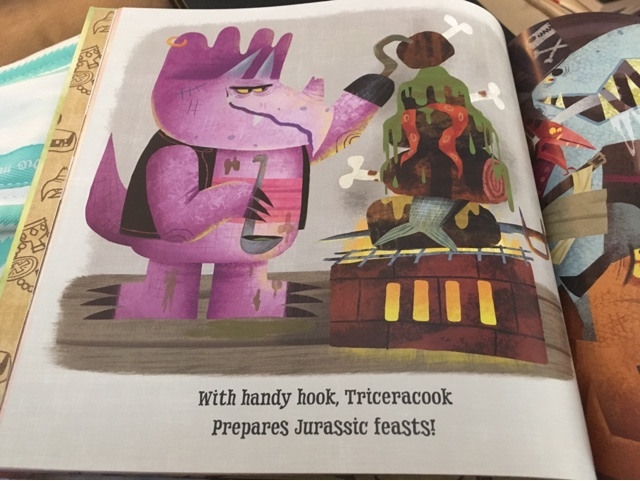 Two Nerdy Sisters: Picture Book Wednesday: Pirasaurs! 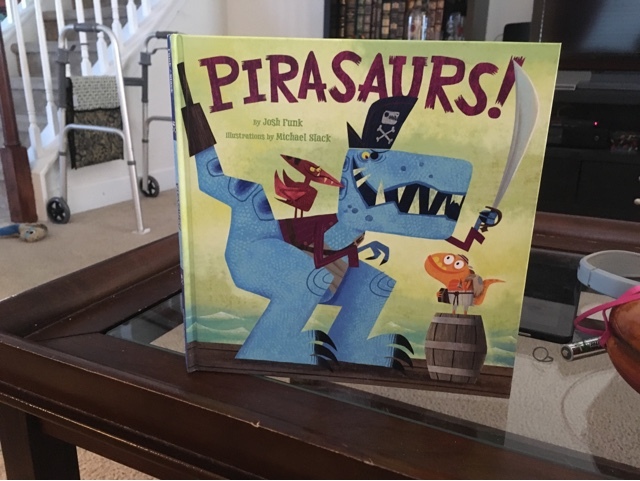 In his second book, Pirasaurs Josh Funk moves readers from the kitchen (the setting of Lady Pancake & Sir French Toast) to the Jurassic seas to meet a group of pirate dinosaurs. A young dino joins the pirate crew, introducing us to the veterans, with giggle-producing names like Captain Rex and Triceracook. Funk's rhyming couplets (typically one line per page) are delightful, creating a rhythm that is extremely fun to read. The Pirasaurs characters come alive in Michael Slack's vibrant illustrations. Will the newest Pirasaur prove his muster or wind up walking the plank? Read Pirasaurs and find out! Highly recommended for home, school and public libraries. It would be a great read aloud for "Talk Like a Pirate Day," celebrated on September 19. Arr, me hardies!